What Are The Real Estate Taxes on This Building? As with much of the new senior housing in Freeport, no real estate taxes are paid on the buildings. This shifts the real estate tax burden to the home owners and small businesses in the community. The occupants and investors in this building should thank the citizens of Freeport for this generous tax subsidy. 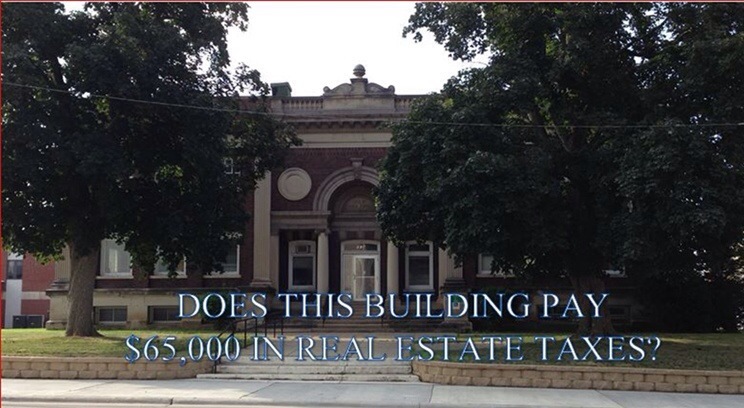 This entry was posted in City of Freeport and tagged real estate taxes on July 27, 2015 by Good Day Illinois. Why Must The Taxpayers of the City of Freeport Have to Fight to Get Their Homes and Small Businesses Assessed Fairly? Most properties in the City of Freeport are over assessed. This means that your real estate taxes are too high. Property values since 2008 have been falling, and assessments do not accurately reflect this fact. 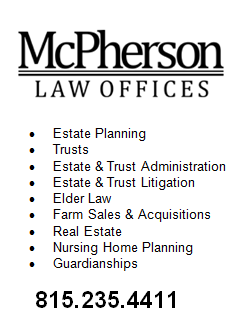 If you don’t like your assessment, you must file a complaint with the Stephenson County Board of Review. 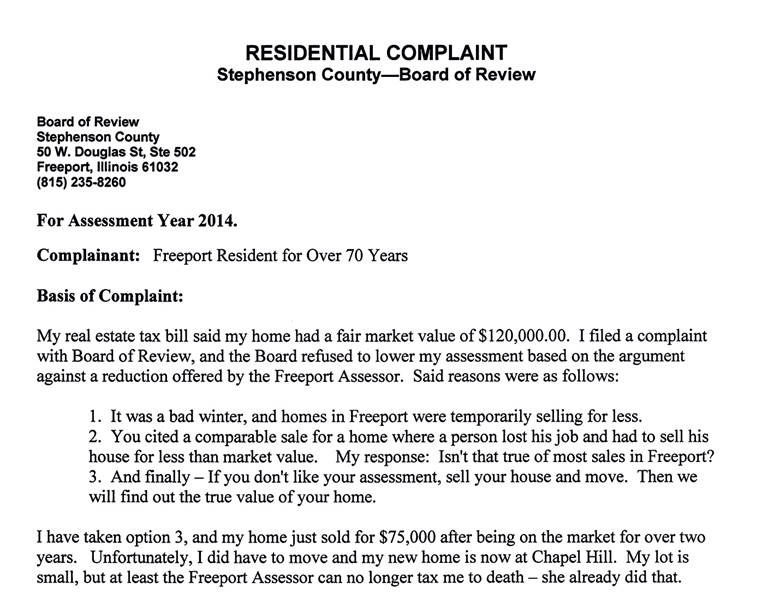 Why can’t the Freeport Assessor treat all property owners fairly by basing all assessments on current market values? The answer is simple – government bureaucrats at the city and county level have a vested interest in maintaining high assessments in order to produce more tax revenue. Many properties in Freeport are assessed at 20% to 30% over market value. This could cost a taxpayer hundreds and even thousands of dollars each year. If someone robs a bank, it is called stealing since you are not entitled to money which depositors have entrusted to the bank. When government unfairly taxes its citizens and misuses taxpayer money, it is justified since the bureaucrats rationalize that it is used for a good purpose – the salaries of government workers! In truth it is just plain wrong and no different than stealing. This entry was posted in City of Freeport, Legal Issues and tagged freeport, ovser assessment, real estate taxes on October 1, 2014 by Good Day Illinois. If You Live in Freeport and Stephenson County, Your 1st Installment of Real Estate Taxes Is Due Friday, June 6. Freeport Rates Up Over 10% in Two Years! Don’t let those taxing bodies fool you. Every taxing body in the City of Freeport has increased their tax rates for 2013 led by the Freeport School District which has the capacity by itself to bankrupt this community. The total tax rate for those living in Freeport has increased over 10% in two years, and this is a fact. If this rate increase continues at 5% per year, it would be up 25% in five years. If you work in the private sector, has your income gone up over 10% in last two years? If you are retired without a public pension, has your social security gone up 10% in the last two years? 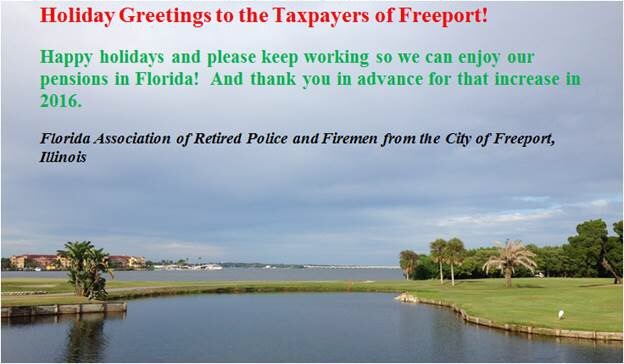 When will the taxpayers in Freeport say enough is enough? The answer is clear – only after it is too late, and we are close to that point. This entry was posted in City of Freeport, Legal Issues and tagged real estate taxes, Stephenson county, taxes on June 4, 2014 by Good Day Illinois. Real Estate Tax Bills Are Out – Freeport Rate Pushing 12%! Freeport does have one big disadvantage when it comes to economic growth. It is located in Illinois! Illinois is known as anti-business state and high tax state (they go together). Although it may not be totally justified, that is the perception. To make matters worse, the reckless spending and high taxes at a state level must be contagious. Look at the Freeport School District! A tax rate of 6.5% in 2012 and for 2013 it is 7%, and this District had enough nerve to want 1% sales tax increase. While many states such as Texas have no state income taxes, Illinois raised its tax 67% a few years ago. It was supposed to be a temporary increase – what a joke. Taking the revenue away from the bureaucrats in Illinois is like taking sugar away from rats. Once the rat gets used to the sugar, it will do anything to get more. Same for the politicians in Springfield. Illinois, instead of looking for ways to cut spending, looks instead for new sources of revenue which is another way of saying more tax increases are coming! This entry was posted in City of Freeport, Politics and tagged Illinois, real estate taxes, taxed to death on May 12, 2014 by Good Day Illinois.